There are many types of woodworking ﻿chisel sets around. Because of this variety, you have to be careful when choosing the best chisel set for your needs. During this article, we will explain the basics about chisels and also review 5 of top rated wood chisels on the market currently that you should buy. Woodworking is easier and better when you have the right t﻿﻿ype﻿﻿ of tools. 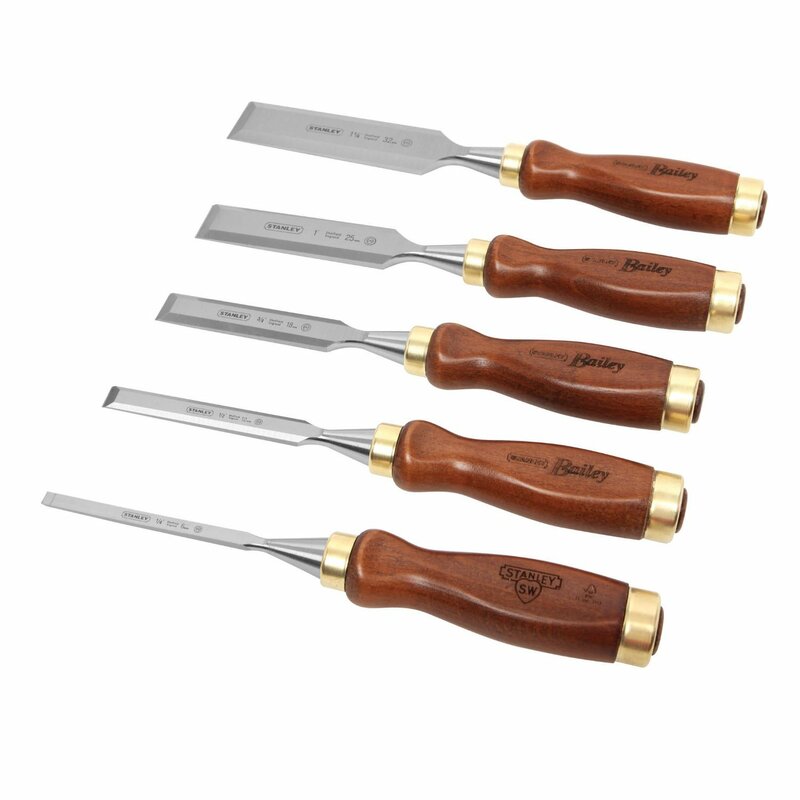 Wood chisels are tools that you are definitely going to need during your various woodworking projects. If you do a lot of specially designed and shaped structures, then this particular is of the essence to have in your toolkit/ workshop. These cutting tools vary in sizes depending on their specific uses. Most of them are either made with wooden or plastic handles, and they range between 1 ¼ to 2 inches wide. Wood chisels feature specific designs especially for the heads and the depth of timber to be worked on. The heads are made in particular to shave or chip away wood that is being worked on. Also, a chisel set can be used for masonry or metals; the only difference is that chisels made for working on metals are made of cast iron that is much stronger, heavier and durable. 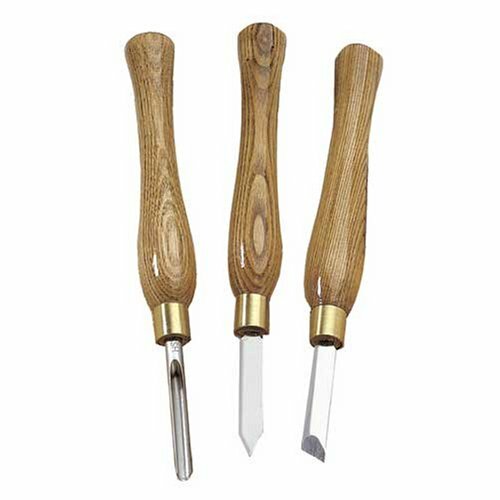 Like the wood chisels, these are also available with wooden or plastic handles. You should know that for the best chisel tool, you need to look at the intricacy of the material to be worked on as this will help you determine whether to buy a small or big chisel tool. Looking for an appropriate chisel tool can appear like a gigantic undertaking with the many competing brands and styles to choose from. However, if you center your search and attention on the type of cuts, shapes, and materials that you will be working on then things get much easier. 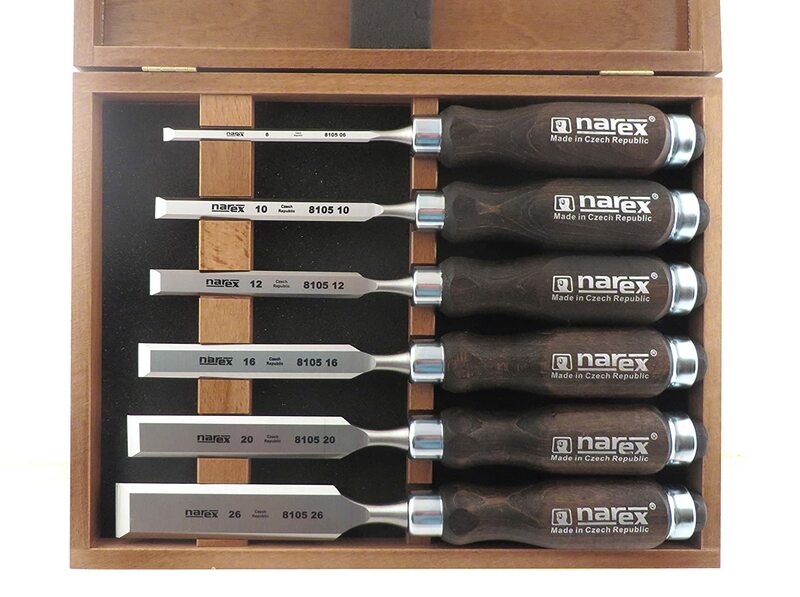 All chisel sets for woodworking are not going to be the same as chisel sets for masonry or metal work. Likewise, a bevel chisel set is not ideally suited to a bench set or a pairing chisel. So to make your decision easier, let’s break down the best tips you should factor in when selecting a chisel set suited for your needs. Like we have mentioned slightly above, these tools come in a variety of sizes, shapes and for different applications. For woodworking, you will need to use a chisel designed for woodworking. The same applies to chisels for masonry and metal work. When you buy a wood chisel and use it for,masonry, the results won’t be satisfactory. Again, there is a high chance that the set won’t last as mason work requires sturdier built chisels. Additionally, there are different types of wood chisels; so you need to understand what creates the disparity and when and how you should use a particular type. Many artisans will want to buy the affordable chisel sets in the market. This routinely means that the set has the best features needed by individual buyers but at an affordable price. This is perfect since power and hand tools need to be cost effective. However, the mistake usually arises when some want a bargain of a cheap tool regardless of quality which is wrong. Always go for a good quality tool offered at reasonable prices. It is better you spend a lot once and get a good quality and durable tool than buy a cheap one and start thinking of replacements after a short period of time. With any type of cutting/carving tool the safety aspect must be counted. It is highly recommended that you buy a chisel with the best available safety features. If you have used a chisel before then you know what I mean. It is important to watch out for such little things as cleaning and sharpening. The quality of material used is very crucial in how easy it is to clean and sharpen. Some inexpensive chisel sets with inadequate quality are likely to rust and lose their edge and sometimes may even break during use. A chisel that utilizes high quality materials like cast iron or reinforced steel is likely to serve you better and for longer. Lastly, the handle is of great importance. Pay attention to the handles to ensure that it is strong enough not to separate from the tip after prolonged use. For the fact that you will be holding this tool by hand all the time, it is imperative that you go for one with an ergonomic handle. One that will provide you with a comfortable grip and not subject you to hand fatigue. Therefore, go for a handle with a durable material as well a comfortable grip. You have to agree with me that Stanley never disappoints when it comes to power and hand tools. Tools from this English-born brand are as good as they come. From quality, accuracy and precision and these are just but a few of the good sides of the said tools by Stanley. Comfortable hardwood handle – the fact that is it hardwood rules out any quality doubts. The hardwood materials make this handle very durable and sturdy enough to withstand heavy hammering. Also, the handle is super comfortable regardless of how you hold it. High quality storage pouch – what’s even better in this set is that it comes with a high quality leather pouch for storage. The bag is sleek and big enough to fit in all the pieces easily and efficiently. Long lasting edge retention – the high quality carbon-chrome steel blades in this set get sharp quickly therefore grinding isn’t much of a hassle. Also, the blades once sharpened can provide you with accurate and precise cuts and that too for quite a long time. Moreover, it is lacquer protected to prevent the blade from corroding. Excellent micro precision blade finishes – You can use this chisel straight out of the box since come as sharp as they look. For basic non-precision cuts, these blades will work just fine immediately you get them out from the box. Steel is not the best material a high quality brand like Stanley could have used. All in all, if you a pro woodworker, carpenter or DIY lover, this set could be the perfect match for you. It will help you get top notch cuts that are all precise and accurate. What’s more, you get a good quality leather pouch for storage and the price! The price is well worth the quality. This is a tool that truly deserves the good ratings and positive reviews given by most customers. It is of expected high quality and is made for durability. This set contains 6 quality chisel pieces with each having the capability to handle jobs and perform very well as expected. The different size chisels and shapes enable you to get big, small, complicated and simple tasks done with ease and efficiency. Features a high quality tempered blade – the tempered chrome-manganese steel helps with edge retention, and therefore you needn’t sharpen the blade frequently to get better performance. Also, the blade is hardened to an RC 59 which only improves its quality and durability. In general, the blade quality of this chisel is made to help improve performance and provide you with added control over your cuts and carvings. Stained European beech handles–first of all, this Europe beech handle gives the chisels a very nice finish and look. Apart from the aesthetic appeal, it provides a durable performance and accuracy as far cuts and carvings are concerned.The handles are also made of 5 ½ inches long to give you a solid grip and complete control over the chisel. Slim cross section – this feature is best preferred by woodworkers where precision and accuracy is of great importance. Thinner blades tend to dig deep and accurately in materials, therefore, producing better-looking joints and constructions. I can confidently say that this is a quality chisel set to tackle heavy duty and a variety of tasks including cutting and carving. It can also be used to sculpt wood to a desirable state. The set is durable,efficient and is easy to store thanks to the wooden case provided. If you want a chisel set that is built in quality and for durability then this Stanley 16-793 sweetheart 750 series is the ideal model for you. Stanley as a company is known for producing some of the best quality hand tools for cutting. Their 750 series chisels are in particular designed to give woodworkers the best cuts and shapes out of their materials. Durable and precise cutting blade – this Stanley chisels are made with durable blades that comprise of high carbon chrome steel for longevity and precision cuts. The blade is also made long enough for good depth cuts in wood and features a thin design that helps woodworkers to chip out even tightest of spots in wood. Sharpens easily- when searching for the best chisel we recommended that you buy one that is easy to sharpen. This Stanley 16-793 socket chisel features a high carbon chrome steel that is very easy to sharpen and the best part is that it retains sharpness for a very long time. You can simply make thousands of cuts and carves in wood using this set without replacing it. Well-designed handle – the horn beam handle featured in this set is made for durability obviously and also allows for pressure to be distributed downwards into the material when pounded. This aids in getting accurate and precise cuts for constructions. These Stanley 750 sweetheart chisels set are inarguably one of the best in the market. 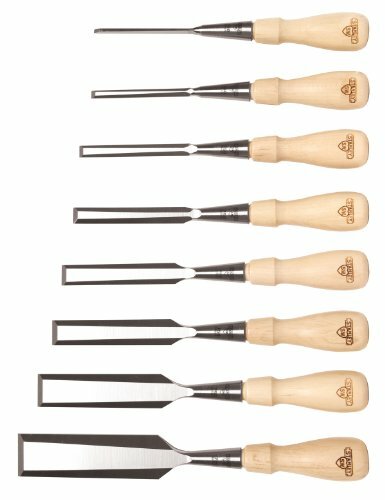 Both in price and quality, this set has the best quality features to get your woodworking activitie﻿﻿s done in a simple and precise way. The price is also quite reasonable in consideration to the features and performance it presents. 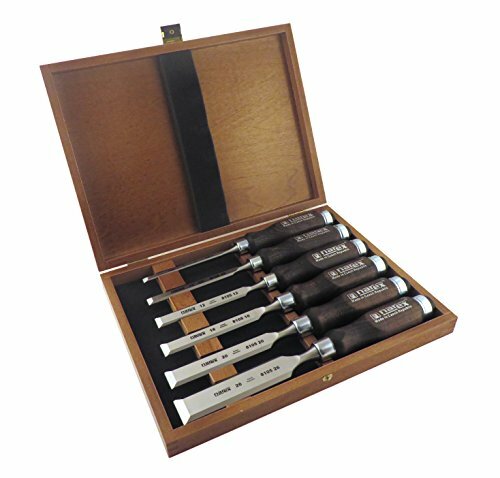 Our fourth item on the list is this IRWIN manufactured Marples woodworking chisel set. It is the best choice for the budget conscious woodworker. Although the brand gives its best in giving it quality features, it still cannot match up to our top 3 chisel sets above. However, if you insist on this due to the affordability aspect, then here are a few more things to help you decide whether or not you should buy this tool set. Tough handles – these chisels have a smooth blue plastic handle made of polypropylene which knows to be tough. Yes, they are that tough to withstand heavy hammering. It quickly transfers force from the handle to the edges giving you a desirable cut. I would say that they are a great tool for DIYers, at least for the price, the handle addition is quite lovable. 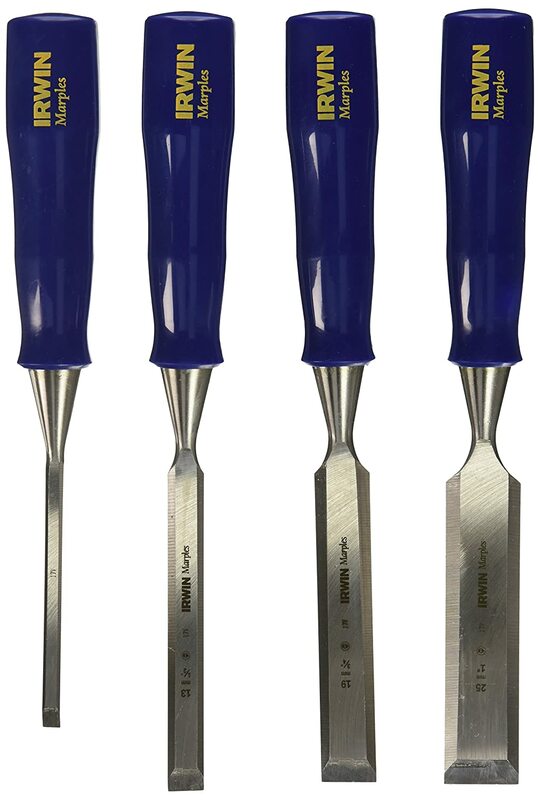 Variety of sizes – this set includes 4 pieces of sizes 1/4-Inch, 1/2-Inch, 3/4-Inch, 1-Inch chisels. All this sizes are the most important ones for basic woodworking and that’s why I insist that they are a good choice for DIYers. Very affordable – simple woodworking tasks do not need expensive high end tools. As long as a tool can get the work done, then it’s good enough. That’s is exactly what this Irwin Marples chisel set is all about. It is a moderately efficient tool at a very affordable price. The Irwin’s Marples Chisels are an excellent choice tool set for the carpenters and home improvement enthusiasts who need a serviceable, working chisel at a reasonable price. The tough handle is a plus as well the forged steel blade which is strong enough for the job. This is an excellent model for both the beginner and professional craftsman. Given the price in the market, this set is of excellent value. The quality is sufficient to get you started in your woodworking venture as well as help you accomplish a few projects. In as much as the manufacturers insist on them being professional grade, they are best recommended for amateurs looking growing their skill in the craft. This is actually a great choice tool to help you learn and identify your preferences and needs as far cutting and carving tools are concerned. So if you are on a tight budget and want a manageable quality set, then this is it. High speed steel blade – this is actually the strongest feature of this chisel set. The high speed steel makes the tool strong enough to dig through wood chucks with ease as it also retains sharpness for a considerable amount of time. Offers a variety of cutting chisels – the set is a 3, piece and it contains the best 3 pieces needed for a more versatile art. It has a 3/8-inch gouge for rough cutting in most materials and a 1/8-inch parting tool. 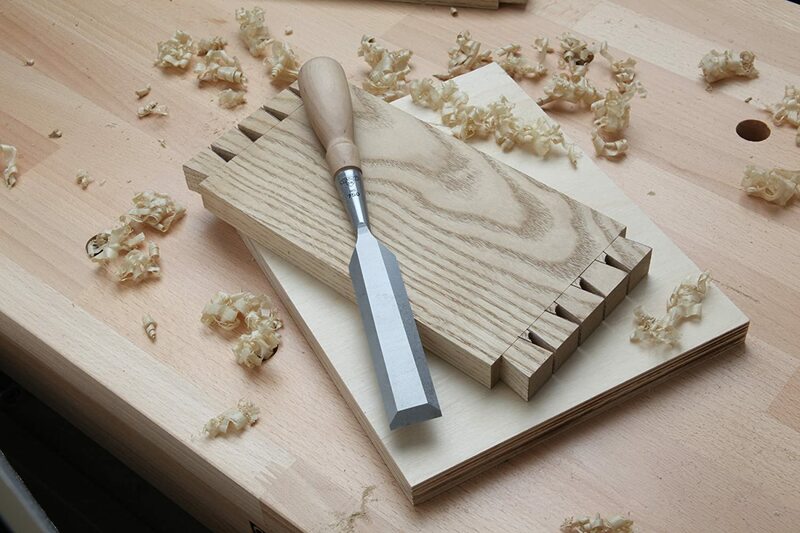 This 1/8 inch chisel can also be used for creating dovetail joints in constructions. The set is also included with a 1/2-inch oval skew that allows you to create smooth cuts; it is the best piece in this set for carpenters. Good looking and quality carrying case – the packaging box is truly great. It serves as a carrying/storage case for the tools. Therefore, you don’t have to worry about misplacing any chisel piece at some point. The wooden handle does not have a nice finish and therefore not comfortable to hold for longer durations. I wouldn’t really criticize this set because at the very least it made into our top 5 list. The reason for this is because it is a good value chisel set; has an affordable price tag and works excellently for beginners. However in all honesty, if you are a pro woodworker that needs a highly durable, top quality and versatile set, this is obviously not the best choice. I only recommend it for beginner who want something to grow with and later upgrade once they have specified their craft. Wood chisels can be used for a variety of things. For example,when you see a good looking wooden chair, drawer, etc. know that a chisel played a part in getting that structure look that good. In essence, this are amazing tools and can help you significantly in many different applications whether commercial or simple home improvement.